Doesn’t this look gorgeous? Beautiful colours, funky designs and great patterns. And all from high street retailer H&M. Were you aware they sold home interiors? No, well it’s a great range and well worth taking a peek. And being H&M it’s really well priced too. 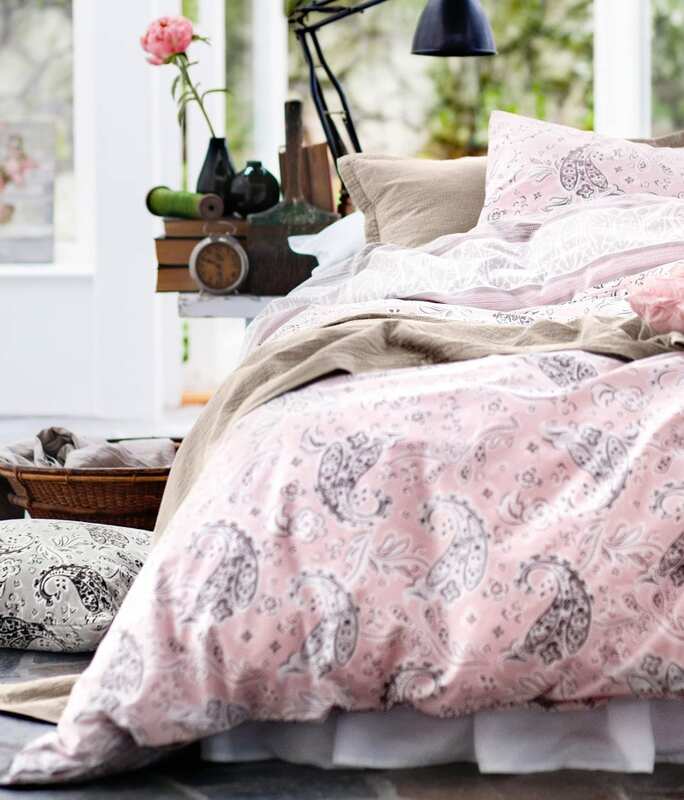 This very pretty double duvet set retails at just £34.99. Stylish, on trend and great value! Look at these beautiful seat cushions and matching table linen. Gorgeous colours and lovely prints. 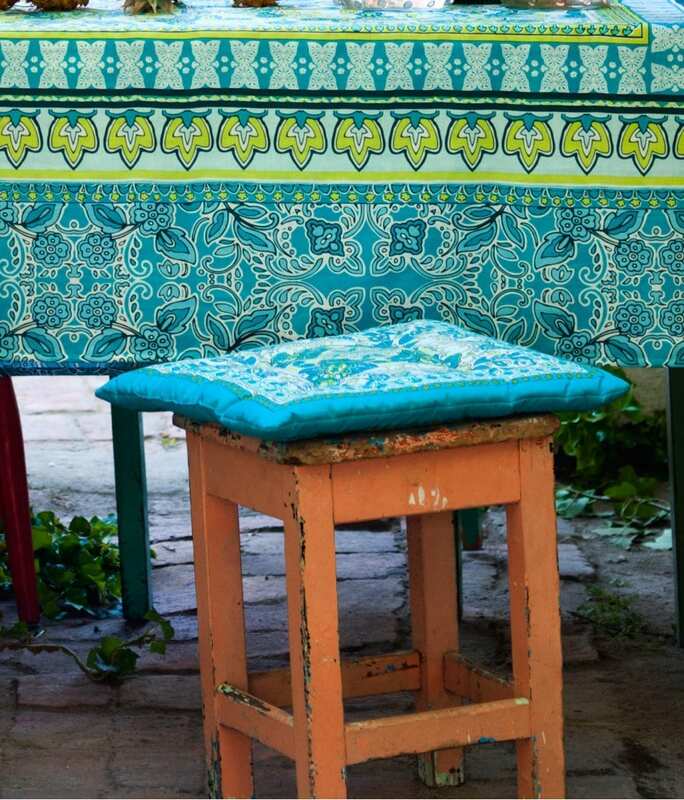 Love the Moroccan feel going on with the print, ideal for outdoor eating if we ever get any decent weather this spring. Seat cushions retail at £6.99. Oh I adore these guest towels. They’re fun, funky, bright and bang on trend. And for just £6.99 for the two they’re a bargain too. 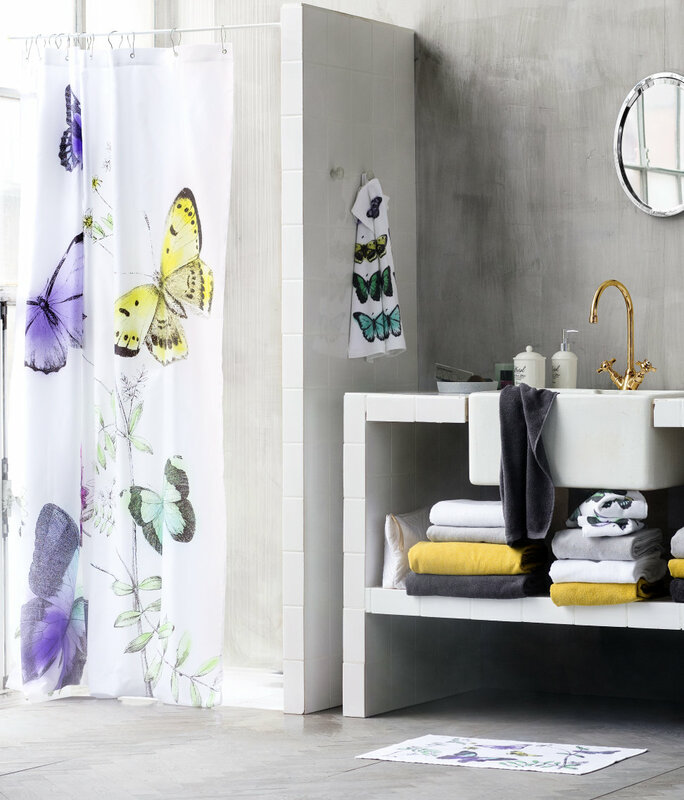 Fabulous for brightening up a neutral bathroom, mix and match with other bright colours for a zingy look to your interiors. Candles are a bit like cushions; you can never have too many! They create a lovely atmosphere when you want it and some, like these look fabulous in the daytime unlit. Scented candles don’t always go down well in our home, so I love that this candle is unscented and looks stunning. 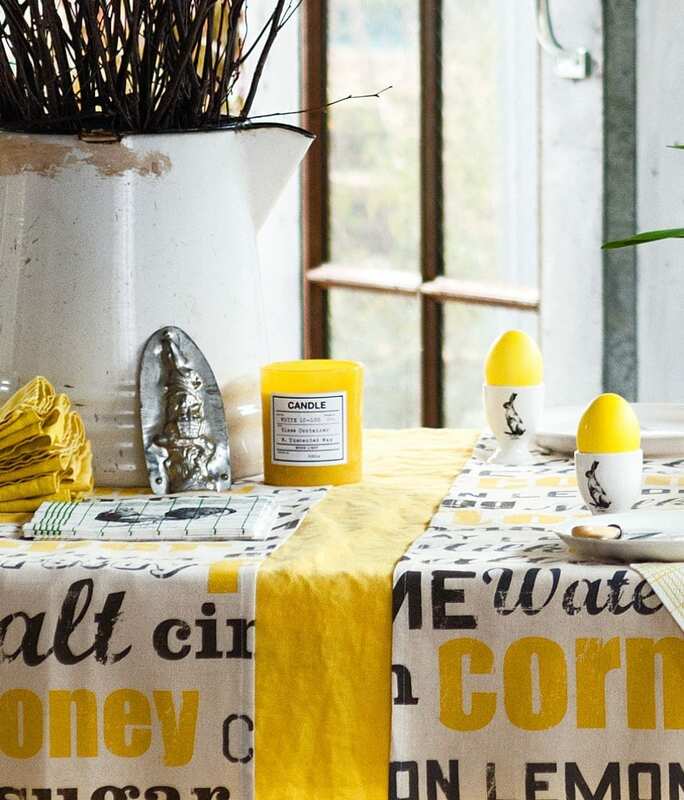 You can shop online at H&M for all of these fabulous home interiors and more. The pieces are competitively priced and very stylish, although I have bought from them personally so can’t yet vouch for quality and longevity. Enjoy! If anyone owns any products from these ranges I’d love to hear how you find them, leave us a comment and let us all know! 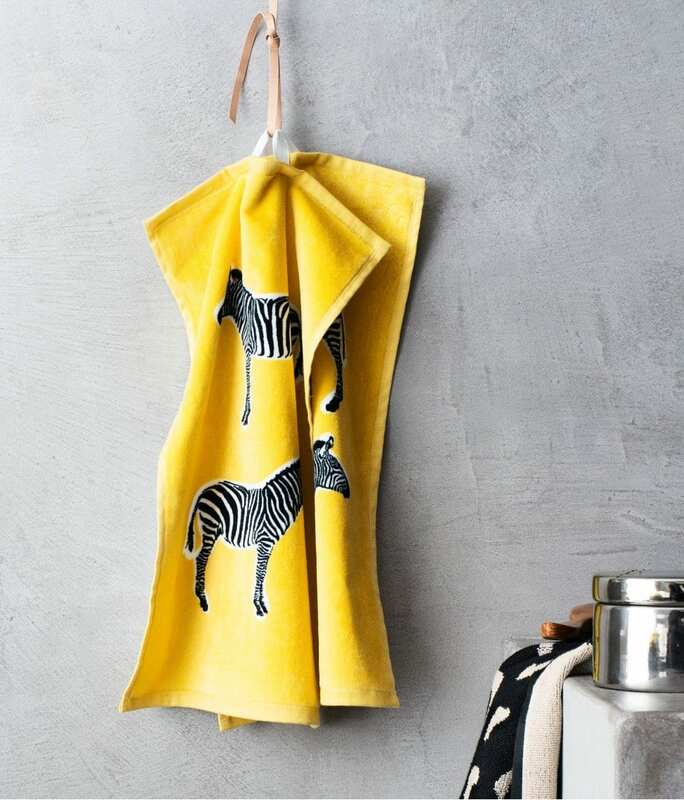 Love those Zebra towels – fun! I know, how gorgeous are they?! Oooooo! Range looks great. Thanks for showing us. I feel some shopping coming on! It’s great isn’t it Emma, time to flex that credit card! Ooh I love the outdoor stuff. It’s a gorgeous shade! I’ve never thought of H&M for home – might have to take a look. I love the colours on lots of it, and it’s one of the shops you just don’t think to look for home stuff! Happy shopping!